Take this questionnaire to determine the best floor for your home. Please choose how much you agree or disagree with the following statements. Beauty is important to me when choosing a new floor. Durability is important to me when choosing a new floor. Health and air quality is important to me when choosing a new floor. 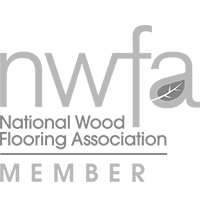 Sustainability and environmental responsibility is important to me when choosing a new floor. Budget and value is important to me when choosing a new floor. How many occupants currently live or work in your home or building? Do you have a damp basement or any noticeable leaks or moisture issues in your home or building? Yes or no? If yes, please explain. If you answered yes to above, please explain what type and your usage pattern. Do you close up your home or building for extended periods (weekends, vacations, etc.)? Please explain. We are committed to doing everything possible to care for our wood floor to keep it looking new. We understand that this may require lifestyle adjustments as well as regular cleaning and maintenance. We plan to follow a standard maintenance plan for our wood floor. We really need as low‐maintenance a floor as possible. When are you hoping to have your floor installed?